It seems a lot of devices are getting announced at IFA 2012 even though the event doesn’t kick off for another two days. 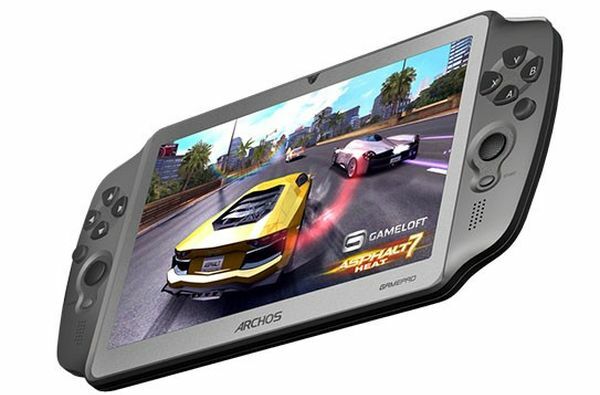 One that has peaked our interest at Tapscape is the Archos Gamepad. Its a 7inch tablet sporting a 1.5ghz dual-core CPU and a Mali-400pm quadcore GPU. It will have 8gb of storage and pack Android 4.0 Ice Cream Sandwich along for the ride. The Archos Gamepad will also have full access to Google’s Play Store so you’ll be able to enjoy access to games, books, movies, and apps. The device has physical buttons that will automatically configure themselves for most Android games. This is obviously territory that an Android device has been before, but the device has one advantage on the likes of the Sony Xperia Play … the price. The Archos Gamepad will launch at the end of October and be sporting a price of around €150 ($188 US). This sub $200 price point is sure to garner some buzz and attention. No word on a US release for now.